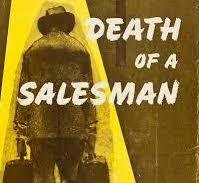 While I was a teenager about to go off to college, I watched Death of a Salesman at the theater. At the time I was struggling with the transition I was about to embark on, but I found a deep connection to Biff's character. I felt like I was always running a never ending marathon for the amusement of those around me. After seeing Biff finally stand up to Willy and tell him that he was tired of trying to be something that he could not achieve, I felt a sense of clarity. I had to pursue what I wanted in life not just seek the approval of others. I started to implement this attitude in my daily life and saw that I began to enjoy life much more. You never know what will be your changing point until it blindsides you.